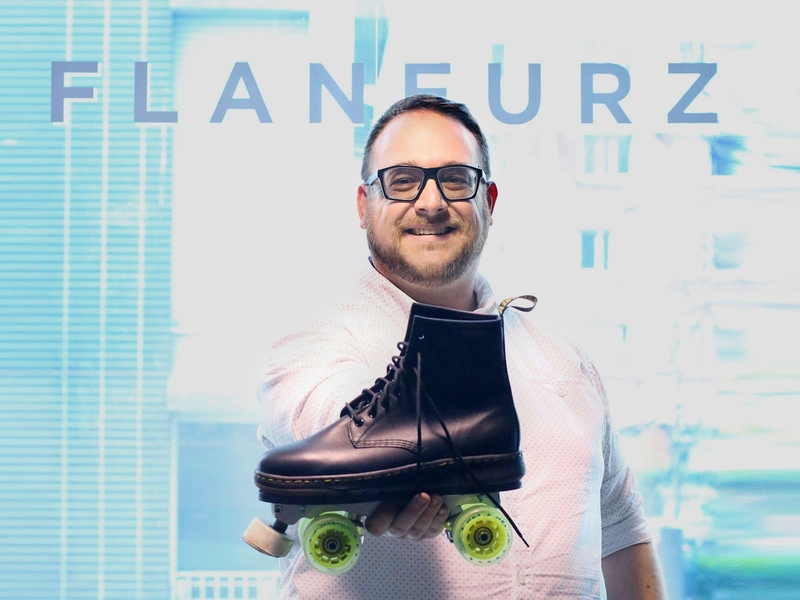 Once a month, Flaneurz Clique transforms its manufacturing workshop into a roller skate shop to welcome urban mobility enthusiasts. Ready-to-Roll and Change your Shoes models exhibition, three rolling parts ranges presentation and accessories; it is the rendez-vous to discover, try and buy your clip-out skates. The Clique works every day in this Skatelab. This is where the new collections, our next roller skating events... are developed. 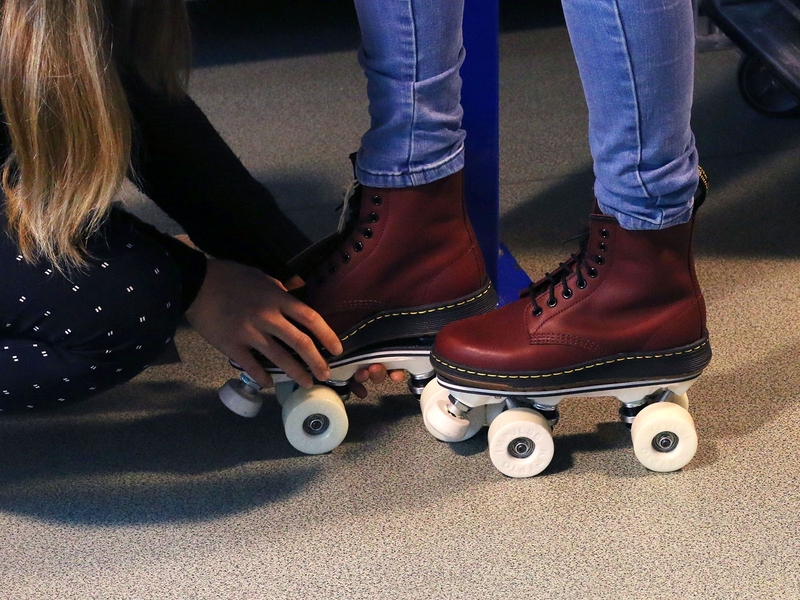 Located in La Courneuve (close to Paris), this office is where step-in roller skate are handmade one by one. At “La Courneuve Business Incubator”, we are pleased to welcome you all week, from Monday to Friday, by appointment. A team member then takes care of you and introduces you to the system. In addition to these appointments during the week, we open the doors of our office one Saturday per month to meet maximum requests and correspond to all schedules. From 11am to 7pm, we are waiting for you to introduce Flaneurz universe in this ephemeral roller skate shop. Audrey is one of the newest Flaneurz community members. During her visit, she leaves La Courneuve with her Nike Air Force One step-in roller skate at her feet. Always glad to welcome you here, Clique awaits your from 11am with coffee. How to better get upset and attack day in the right way by roller skating? For first uses, there is a period during you will need to get used to the system, but before long you will be clip-in and clip-out with ease. We take necessarily time to show you how it works until this gesture becomes familiar. At this roller skate shop, where all our office is organised to welcome you, you have the opportunity to see all product manufacturing steps. A Flaneurz exploded view allows you to discover each future rolling part component and entire system present in the shoe. You also have opportunity to create your own rollings parts. All our accessories are presented to you and we realize your choice assembly. Add a rear brake, change your wheels colors… Let your imagination run wild! Buying Flaneurz pair is an investment for your daily commute. For this, we offer payment facilities during these Open Day House. This ephemeral roller skate shop is designed to make you live a special moment, bringing together roller skating enthusiasts around an innovative solution. Our next meeting will be on Saturday, April 20th, at our Skatelab. Whether you just want to discuss our product, try it or go back home with your Flaneurz, you’re welcome! Our office is located in La Courneuve business incubator in the “Grand Paris”.